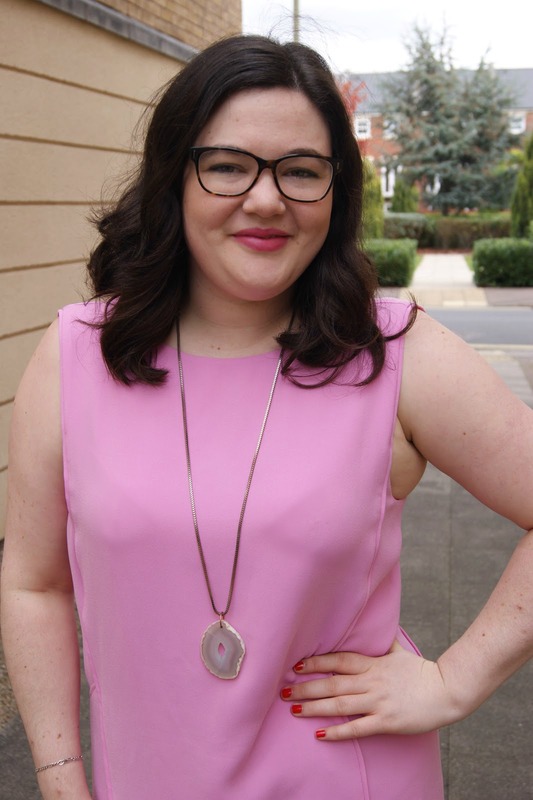 Bright colours have long been a staple in my wardrobe and this candy pink Whistles dress was a fun workwear addition. The shape was boxier than I would usually go for but paired with some fun shoes and a jazzy necklace, it was much more firmly in my comfort zone. I am a big fan of sleeveless dresses (I am always warm!) and I can't wait to layer this one up with some stripes and a polo neck! These shoes were another Topshop bargain a while back and I love them They are ridiculously comfy and make a real statement without being completely impractical. I am always a bit wary of wearing heels with higher hemlines but I think the chunky block heel and the straps helps to stop them from looking too much, what do you think? Where do you buy your workwear? Love this dress so much. It's such a pretty colour. It's inspiring me to wear more colour while the weather is still a bit cold! Can't beat a hint of pink! Love Pink and all other colour. This shade is perfect on you!